A study of 500 primary school students in Japan by Hiroko Hagiwara of the Tokyo Metropolitan University found that the right side of the brain reacts when hearing difficult English words while the left side reacts when hearing easy word. The right side of the brain is said to be linked more with the rhythm and dynamics of sound which led Hagiwara to theorize that perhaps teachers should focus on the sound rather than meaning of words in the early stages of language learning. Although the volume of Japan’s loanword “exports” is much smaller than its “imports,” a number of Japanese words are now in familiar use in other languages. Examples in English include the following: anime, kimono, geisha, sake, sushi, pachinko (Japanese pinball), bento (boxed lunch), soba (buckwheat noodles), wasabi (Japanese horseradish), ramen (Chinese noodles).Other Japanese words that have found their way into the English language include dojo, futon, haiku, hara-kiri, judo, kaizen, kamikaze, karaoke, karate, manga, ninja, origami, ronin, samurai, sashimi, sayonara, shogun, sudoku, sumo, tempura , and tsunami . 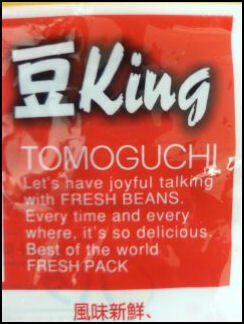 The word "tycoon" is an anglicized version of taikun, the title which the shogun used to describe foreigners. Most Japanese have studied English for at least six years. English is taught in schools from the middle school onwards and teaching English at private institutes is a multi-billion dollar business. Even so, most Japanese are shy and hesitant about speaking English especially with native speakers. Starting April 2011, English became mandatory in primary schools, Fifth and six graders are now required to take lessons focusing on verbal communication. Many Japanese can read English but can not write it, speak it or understand it when it is spoken. Even with the emphasis on test-taking Japanese routinely score much lower on international English tests than people from other nationalities. Japan ranks with North Korea at the bottom of rankings in Asia of English language skills. A study in 2005, found that 21 percent of 5-year-olds study English conversation, up from six percent in 2000. The study also found that 10 percent of three-year-olds, 7 percent of 2-year-olds and 3 percent of one-year-olds study English. Studying English using a book of speeches by Barrak Obama was popular after he was elected President of the United States in 2008. The Test of English for International Communication (TOEIC) is becoming popular as English is an essential skill for employees as companies expand overseas. The Yomiuri Shimbun reported: “The number of applicants in Japan for the TOEIC test, which measures English language skills necessary for international business, in fiscal 2011 increased by about 30 percent to 2.27 million from 2010. English ability is often determined in Japan using Eiken English-proficiency tests that evaluate test takers on a scale of Grade 5 to Grade 1 with Grade 1 being the highest (equivalent to the language ability of an advanced university student) and Grade 5 being the lowest (equivalent to the language ability of a first year middle school student). Passing a certain Eiken grade are criteria for getting certain jobs such as teaching. People taking Grade 3 test and above have to take an oral test with a native English speaker. Japanese scores on standardized TOEFL exams were an average of 501 in 2000, 18th out of 21 Asian nations ranked. The scores in China and South Korea, respectively, were 543 and 535. Reasons offered for Japan's poor showing include the stark differences between Japanese and English languages, the fact that Japan was never colonized like the Philippines or Malaysia, the large size of Japan and the lack of a need to learn foreign languages, and the emphasis on grammar and translation over speaking in schools. South Korea and China have undoubtedly been striving to promote English education at the primary school level well before Japan. Today, both nations are well-known for their enthusiasm for English-language education. "In the past, our clients were mainly manufacturers with plants overseas, such as pharmaceutical companies and electronics manufacturers," said Nakagawa. "But these days, more and more people working for IT and retailing companies are taking our classes. They may have been influenced by Rakuten, Inc. and Fast Retailing Co., which now use English as their official corporate language." In 2010, several Japanese companies, including Rakuten and Fast Retailing (Uniqlo) announced they were going to make English the official language of their offices as part an effort to improve their global presence. The decision by Rakuten and Fast Retailing (Uniqlo) to make English the official language of their offices provided a boost for school that teach business English. Beginning in 2013, Takeda Pharmaceutical Co. will require to college graduates to score 730 or more points in the TOEIC English test. Eighty-five percent said they think, "It is important to study English" or "It is rather important." To the question "Do you think studying English will be useful to get a job you want in the future?" 36 percent responded, "I think so," and 34 percent answered, "I generally think so." The 70 percent who responded affirmatively marks a 23 percentage point increase from the previous survey in 2003. Asked how they felt about English, 22 percent responded, "I like English" and 30 percent chose "I like English" when asked to choose between "like" and "dislike." Only 11 percent responded they strongly hope to get a job that requires English skills, down six percentage points from the previous survey. In contrast, 43 percent answered, "I don't want to get a job that requires English skills," up from 36 percent in the previous survey. Kenji Miyauchi, head of the research and development section at the institute's Curriculum Research Center, said, "[Students] are keenly aware of the importance of English in this age of globalization, but at the same time, they don't seem to want to study English or they think it's troublesome to do so." English taught in school tends to focus on reading and writing rather than speaking and listening and students approach grammar as of it were a series of mathematical formulas. The curriculum often focuses on minutia of grammar and mastering multiple choice tests rather producing comprehensible sentences. The way English is taught varies greatly from school to school, There is some efforts to standardize it. In the early 1970s more than 4,000 English words were taught. But in 1989, the number of English words was slashed to 2.4000 and were cut by another 200 words in a 1999 amendment. Many went to see the number increased to 3,000. English teachers in Japan lack experience teaching the language. Their accents and pronunciation often means that their English is incomprehensible to native speakers. Studies of middle school and high school teachers indicate they lack good language skills and their scores on TOEFL and TOEIC are not that high. Primary school teachers often little nervous about teaching English because they are self conscious about their own skills and aware of their limitations. In 2001, a new program was launched who to teach primary school teachers how to teach English. As part of the effort to introduce more English into the curriculum, math books for elementary school students published entirely in English were released in mid 200s. In the mid 2000s there was a debate as to whether or not English should be compulsory in primary school. In the end it was decided that yes it should and starting in 2011 it would be taught with an emphasis on speaking, communication and having fun. The effort to introduce even one hour of week of English instruction to in the 5th and 6th grades primary schools has drawn a surprising amount of criticism from conservatives who feel that children should spend their time studying Japanese. South Korea, China, Thailand and Taiwan have all incorporated English into their primary school curriculum for some time. Nova, Japan’s largest English school, went bankrupt, in 2007, throwing hundreds of foreign English teachers out of work and causing students who paid large amounts of money up front for their lesson to loss thousands of dollars. Nova had 300,000 students and 670 branches, many of which were near train stations. The basic strategy of the company had ben to spend lavishly on advertising, pay the English teachers low wages and get students to sign up for long-tern contracts with the hope they would tire of the classes and drop out. Students signed contracts of up to three years, in some cases paying more than $3,000 up front, which allowed them to take classes based on the number of points they bought ,which they could apply to classes taken at a time of their choosing. The more points they bought the lower the unit price. But when students went to sign up for classes they found times were often not available at the times they wanted. Nova it turns out had run very successful advertising campaign and signed up a lot of students but didn’t have enough teachers to teach them. When students who couldn’t get the times they wanted began complaining and asking for their money back. In June 2007, Nova was barred from making long term contracts for six months because of complaints that the English school was not honoring their contacts. This opened the floodgate to people demanding refunds. Nova quickly used up the money it had set aside for refunds and had to dip into its operating money. These funds began to run low and the company didn’t have enough money to pay its teachers and its bills. By the end of July ¥43.9 billion in paychecks and rents had not been paid. In October 2007, Nova filed bankruptcy, fired its president and shut downs 668 schools nationwide. Students didn’t get their money back, teachers were forced into poverty, Nova stock dropped to ¥1 a share and more than ¥4 billion in salary was not paid. A year after Nova’s collapse many customers had not got their money and the entire language industry was still stinging form the collapse. The failure of Nova was blamed on its president Nozomu Sahashi, who founded the firm im 1981 when he was 29 and developed the marketing strategy for the firm. Under his leadership Nova grew quickly with catchy slogans and advertising . But many of Sahashi’s employees didn’t like him. They found him autocratic and unwilling to listen to others. Sahashi was paid about $3 million a year. He worked from an office that cost Nova $26,000 a month. It contained a bar stocked with premium wines and spirits, an eight tatami-mat tearoom, a secret room with a sauna and Jacuzzi entered through a secret door. In June 2008 Sahashi arrested for misusing funds, for misappropriating a reserve funds for company employees. Sahashi was sentenced to 3½ years in prison for professional embezzlement. He pleaded not guilty to the charges as his trial in Osaka. In September 2009, two gangsters were arrested after holding him in hotel room. In April 2010, another major English school chain, Geos, declared bankruptcy. The announcement was very abrupt. The day the bankruptcy was announced notice were posted on the shuddered doors of the schools. In many cases students, some who signed contracts worth thousands of dollars, had no idea what was had going down until they showed up for classes and saw the notices. Geos ran 329 schools nationwide and had 36,800 students. The school later was taken over by Nagoya-based G. Communications, which reopened most of the schools and took most of the students. An English school called Fortress Japan was ordered to close after being accused of using excessively coercive methods to get potential students to sign enrollment contracts. Potential students were told things like they would never get jobs with their current English ability and were then preventing from leaving the school’s office until they signed the contract. Those that didn’t sign said they received harassing phone calls to their homes. Around the same a 69-year-old American who ran an English conversation school in Fukuoka was arrested for sexually abusing a primary school girl and is believed to have sexually abused 40 girls during the previous decade. For many English swear words there is no Japanese translation. Kenji Nomura, a translator for Japanese pitchers with the Los Angeles Dodgers, told the Los Angeles Times that he translated the swear words of American ball players with facial expression, changes in tone and regional accents of Japanese that have a reputation for being earthy and unrefined. Many Japanese companies have names written with the Roman alphabet rather than Japanese and advertisements sometimes feature more English words than Japanese words. A non-Japanese name is useful outside of Japan. Many Japanese feel that using English and the Latin alphabet in advertising lends prestige to their corporations. Some of the nonsensical and comical English expressions observed on T-shirts in Japan include "Champion Boy in Bloom," "Let's Joy," "Passion for Street," "Dog Action," "Summer is Born of the Passion of 1921," "Snot House," "Dreamfashion Expects 100% Powerful Action," "Planter's Pinch," "Afternoon Coffee Brake," "The Real McCloy" and "Ivy's League." 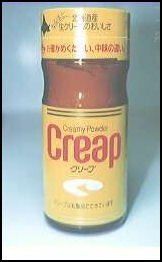 Japanese products with strange English names include Crunky chocolate bars, Creap coffee creamer and Pocari Sweat sports drink. Among the Japanese pop music artists with strange names are Bump of Chicken, Scoop on Somebody, Do As Infinity, Mr. Children, Rip Slyme, Bonnie Pink and Ego-Wrappin?. While this coining of new words continues, it has been common to use Western words as they are, for example, “volunteer,” “newscaster,” and so on. 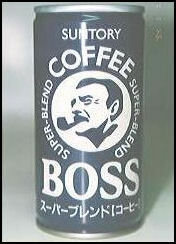 Japanese also invented such pseudo-English words as “nighter” for night games and “salaryman” for the salaried worker. This tendency has markedly increased in recent years. 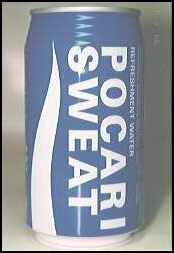 Japanese versions of English words are often called Japanglish, or Japlish. They are often unrecognizable form the English originals. 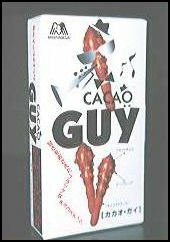 Some of the more common ones are gorufu ("golf"), gorufu baggu ("golf bag"), jacketo ("jacket"), telebee ("television"), karar telebee (" color television"), bideo ("video") Macudo-nardo, ("McDonalds"), hawmmoo ("ham"), sekuhara ("sexual harassment"), hoteru ("hotel"), main hoomu papa ("my home papa," a family man), tariento ("talent," entertainer) happi awaa ("happy hour"), and sarariman ("salary man," officer worker), ehoba ("Jehovah's Witness") and manyuaru ("manual"). Many Japanese children call their parents "mama" and "papa" and say "bye bye." Others Japanglish words include geimu ("game"), poketo ("pocket"), monsuta ("monster"), Pokeman ("pocket monster"), risutora ("restructure"), deseku ("desk"), rampu ("lamp"), taipingu ("typing"), boru-pen ("ball point pen"), kohi ("coffee"), garasu ("glass"), sofua ("sofa"), kusshon ("cushion"), nyusu ("news"), homudorama ("home drama," a soap opera"), bukku ("book"), saizu ("size"), peshiru ("pencil"), pen ("pen"), dauntaun ("downtown") and kan-biru ("can of beer"). 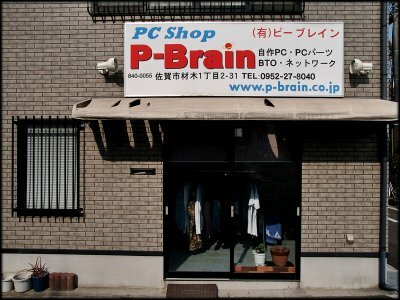 Computer words include kompyuta ("computer"), pasocon ("personal computer"), puroguramu ("program"), sofutouea ("software"), sutaato menyuu ("stay menu"), kurikku ("click"), daburu-kurikka ("double click"), kiiboudo ("keyboard"), doraibu ("drive"), fairu ("file") aikon ("icon"), mausu ("mouse"), toraburuishyiitingu ("trouble shooting"), herupa ("help"). One survey found that 90 percent of Japanese believe their language has been inundated with foreign words they have trouble understanding. English word that have given new meanings or modified include mansion ("apartment"), dokutu-sutoppu ("doctor stop," as in the doctor told me stop smoking), bureddopan ("bread-pan," pan, the Japanese word for bread is derived from 16th-century Portuguese) and tonkatsu ("pork cutlet," ton is Chinese pork and katsu is abbreviation of "cutlet"). Mana modo (“manner mode”) is the same as “silent mode” on a cell phone in English. Shiruba siito (“silver seat”) refers to the seats for elderly people on trains. Famiri sabisu (“family service”) means to spend ,pre time with one’s family. Abbreviated Japanglish include reji ("register"), nega ("negative"), hande ("handicap"), rupo ("reportage"), pama ("permanent wave") and sabo ("sabotage"). Japanese teenagers who can't speak English like to sprinkle their conversation with English words. Many of the expressions are only a short time. Others are more enduring. Popular terms in the early 2000s included one-giri ("one cut," a way of communicating in cell phones without paying"), makaru ("eat at McDonalds"), saburu ("eat on a subway," sabuueu means "subway" and ru means to "play hooky"). Some Japanese teenagers told the New York Times they like to speak Japanglish because its cool and their parents and teachers don't understand what they say. One 18-year-old said, "If a guy came up and used English words, we'd think, 'Wow, what a cool guy." In the mid 2000s it became quite fashionable in Britain to wear T-shirt with Japanese writing on them with the wearer often having no idea what the words meant. Just as foreigners in Japan are often amused by English mistakes on clothing and signs Japanese were amused by the bungled Japanese on the popular T-shirts. In some cases symbols or entire words were upside down.